As soon as Jewelscent announced their annual convention would be in Irvine in January, I knew Francis and Lilly were coming with me and we were going to Disneyland! I am working on a Disney Land & Sea vacation for a group right now, and one of the times I called to change a reservation, I asked to talk to Disneyland on a whim just to see what the military discount is like for the Grand Californian in January. They quoted me a price for 2 nights that was equal to one night in peak season, and Francis said, "oh, this is a once in a life time opportunity. We have to." 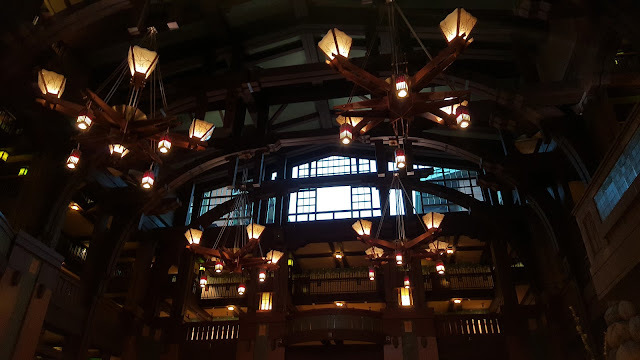 Well... this was our second time staying in a Deluxe Disney resort, and I'm afraid now there is no going back.